Piggy's Revenge : Piggy's Revenge 2013 What Happened? Wow, what a day! 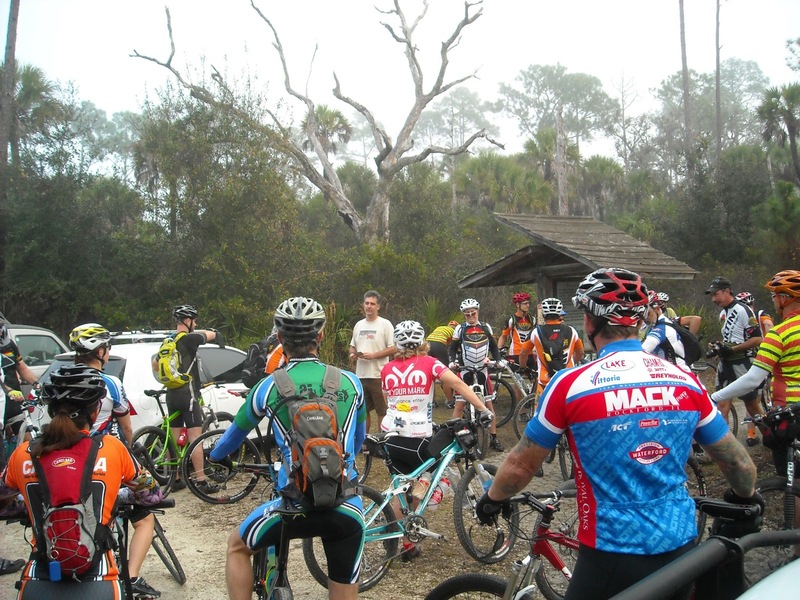 We had 62 riders this year which is almost triple the amount compared to last year. Everyone found their way back and the weather was perfect. Steve defended his tittle and finished the 60 miler in first place for the second year in a row. Can he do it a third time? Scott gave him a run for his money this year but Steve held on. For all you 20 mile loop riders, 11 year old Spencer finished the 40 right in the middle of the pack. Way to go Spencer!! The new way of marking the loops with spray paint worked out great. The terrain was challenging in places but everyone seemed to have had a good time. The homemade bratwurst, pulled pork (thanks Darrin), roasted potatoes (thanks Rich) and pasta salad (thanks Randy) were enjoyed by all. Also, thanks to our cycling musicians for handing out water mid-ride. The turnout showed the land managers that there is a great demand for off road riding in our area. 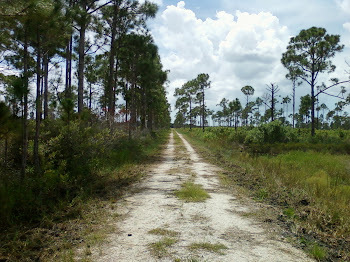 SCORR (Sarasota County Offroad Riders) will help me organize Piggy's Revenge next year. 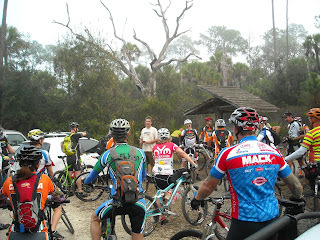 We have great expectations for a larger turn out, better riding areas and more awesome sausages.